What a novel concept. We believe in liberty; we believe in freedom; we believe in the rule of law; we believe in being innocent until proven guilty…. we believe in freedom – but increasingly, our government does not. It is becoming increasingly clear, there is a clash of ideologies between the Islamic East and the Secular/Judea-Christian West. The former openly declaring war and Jihad, the latter refusing to believe/accept it. This entry was posted in Big Stupid Government, Christian Values, Cultural Marxism, Election 2016, European Union, ISIS, Islam, Jihad, Political correctness/cultural marxism, Professional Idiots, Terrorist Attacks, Uncategorized. Bookmark the permalink. We need to hear more like this from ALL the leaders of the Western Nations,…we’re sick and tired of the “apologists”. 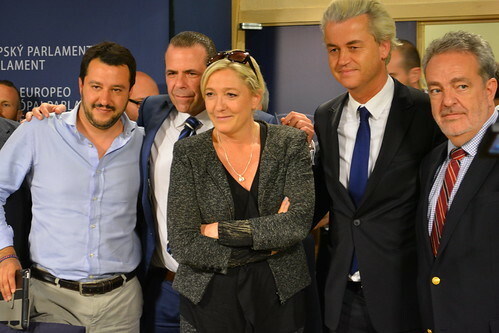 Harald Vilimsky, Austria’s Freedom Party (FPOe); Marine Le Pen, France’s National Front political party head; Geert Wilders, Dutch Freedom Party (PVV) leader; and Gerolf Annemans, Belgium. All patriots of their respective countries who love their country, cherish its culture, and want to keep Western culture in tact against islamification. I think because Nigel Farage speaks English so well that he is the most well-known in US. The leftist media paints them as “far-right,” and were seen as such in the beginning, but now many are considered mainstream, for example, Northern League is actually considered in Italy “moderate right.” There are many more than this, but this is the group I could find some all in one photo. As of recent they have formed an alliance. Courageous each and every one to speak out. Thank you for finding this. It is nice to see that the cause of liberty and western values maintains an international appeal. A little self promotion never hurts and does wonders for those of us who have become dispirited. O how I wish they each all had english subtitles. Only a few do. Just today on twitter I found 2 from POLAND leaders, and another BELGIUM and more FRENCH and always tons in ITALIAN which take me too long to translate and I always worry if I translate correctly so unless they are simple I leave them as is. Saw this on the livestream as it was going. I actually started clapping at some points. The media must immediately stop calling ISIS leaders “MASTERMINDS.” Call them instead thugs and losers. Young people must not go into ISIS! CNN Reporter Jake Tapper is still doing his show LIVE from Paris and just now, he suddenly started throwing out the word RING-LEADER of the Paris attacks. Donald Trump OWNS the media!! “Ring-Leader” is way more appropriate. I was happy to see Trump’s statement about changing terminology. Words matter! Love Nigel. I like to think Trump is our Nigel. Samuel Huntington’s Clash of Civilizations explains this in detail. The great problem of Western civilization is that it is killing itself. No one is going to kill for liberalism. That’s why liberals only target the unborn, they can’t fight back. It’s interesting that two of the loudest and most sensible voices on the world stage for freedom are Englishmen (Farage and Hannan). Hannan is a Judas Goat. An English Marco Rubio. No, not true, there are many others but they are not native English speakers and so we don’t hear much of them in US. So it appears to us these are the only ones. They are all great, and actually, some of the others are even more vocal than Farage. Nigel Farage sounds good! Looking back, in March comments under articles mostly leftish trashing of him, chock full of PC isms and phobias. Now, post Paris terror (and perhaps with a bit of Trump sway, although the Brit papers seem to pull all their US views straight from super liberal media) the comments are positive. Whether that indicates that the lefty voices have quieted a bit, and the right wing voices have come out of hiding to comment, or whether there is really a change hard to say. I wonder how LePen (anti huge-migration) is doing in France? And whether (pro-huge-migration) lefty-Hollande’s sudden hawkish moves have done him good or ill? As the UK Daily Mail says “The legal action is a huge blow to the leader of the country’s National Front as she bids to become President in 2017.” And the Left is salivating because she has become even more popular with the people of France since the Paris attacks, but she was becoming more popular even before that as well. So the Left surely is hoping against her. However, she fully expects to be exonerated. We know how the media is, we see it with Trump, he will make one comment and suddenly it is blown out of proportion and the lies grow into the Left’s narrative. I don’t speak French, but what I have gathered is the usual Leftists who of course won’t admit the recent Paris attacks were a vindication of her warnings, instead are making accusations that she is politicizing the Paris attack. We are fortunate in US that the opposite was true in Trump’s case; his warnings are seen as “vision,” even if the Left in the US don’t want to say that, they are not accusing him of such. Al Jazeera’s Nev Barker, reporting from Lyon, said Le Pen had not explicitly denied the accusations but hinted she had not meant to refer to the Nazi occupation. “That actually is the occupation of territory,” she told a crowd of sympathizers in Lyon in 2010. In France, “occupation” is the generic term used to refer to the period of administration by the Nazis of French territory. I think she meant they were actually occupying the actual land there. And when I read about it I immediately thought it was a political weapon being used against her campaign. Now that IS like Naziism! Frighteningly Orwellian too. PC on steroids. Seems we were headed down that path, but Donald Trump put a halt to that. Of all the things he will do, this one thing he has already done might be one of the most important: PC was undermining freedom of speech tremendously. Islam itself is the greatest continuing crime against humanity, especially women, including little girls, the world has ever know. At some point either Islam dies or humanity dies. Islam is bad for women and gays. Liberals like to say the republicans have a war on woman and are anti gay. Yet they are the ones that seem hell bent on importing so many of them they will eventually take over. Excellent point! Why are the liberals supporting such a misogynist and homophobic ideology? This will be a good retort when arguing with a lib. Nigel Farage is rising up. His opinions were largely unpopular in commentary in March, now commentary shows him very popular indeed. In March commenters were bashing his urging people to stop allowing themselves to be condemned for their own national pride, by typical PC lefty supercilious rhetoric with isms and phobias thrown in the mix. Now commenters are full of praise for the same sort of rhetoric. So the liberal lefties hushed and the “Brit patriots” found their voices? Or is there a real change of thinking now? Has common sense eared its head? 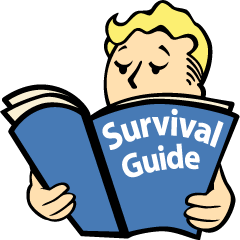 The question is, are we seeing a new norm arising, or will the people forget and go back to “normal” extreme left, as soon as the season changes if no more attacks? 1) People in Muslim countries – not being US citizens have NO right to due process under the US Constitution. If they don’t like being shut out of the US, fine. Stay in the Middle East. 2) The Constitution is not a suicide pact. If a mosque is center for plotting against the US, its citizens and its government, that’s not “free exercise of religion”, it’s treason. Don’t be so “open minded” your brain falls out. I wonder how TPP would tie in with iSLAM in the future? That pile of paper is so long (and so unread) it might have full citizenship for all Islamists in there somewhere. But the portions I have seen explained do seem to lean toward open borders not just trade across them. Maybe a stronger legal mind can answer better. I just wish laws had to be written plainly, had to be read aloud, and comprehension tested before a vote. And an immediate news wire after a vote to tell the voters who didn’t read, or comprehend, or vote so we could know right then and right there. Too much is slipped in secretly, too much pork, too many built-in loopholes, too much legalese gobbledegook. The constitution is readable. The bill of rights is readable. Today’s laws are not, and they should be. This law padding is way outta hand. A lot of the people braying about due process for Muslims wouldn’t have any problem closing Christian churches merely alleged to have connections to e.g. the KKK. “braying”??? Do you live in a world of donkeys? No wonder your comparison has no thought or reason behind it. I live in an area of the country where our ‘High Sheriff’ was a former Klan member. When we moved here, there had been nothing but Democrats for 100 years. The KKK was an arm of the Democratic and DixieCrat political parties. Any connection to Christianity was, as they say in the documentary disclaimers, purely coincidental. Go back to your donkeys. They probably know more about history than you do. Due process is for American citizens not a bunch of imported thugs and fanatics. We are also under zero obligation to take these incompatible people to begin with. As for the mosques, they should be closed if they are linked to jihadis or are caught preaching Salafism(from which radicalizes Muslims) and their mullahs expelled. And remember this, if a church was creating radicals, the government would shut it down ASAP, no questions asked. STOP LYING. Trump doesn’t want to “close” mosques. He wants certain mosques to be observed for criminal or anti-American activities. France has committed suicide. It’s a shame that patriots like Le Pen and certain other individuals and groups (e.g., Génération Identitaire) are being persecuted. They are France’s only hope. What we see today is another resurgence of a “religious” war that has been going on for 1400 years, and this will never change unless people in this the new world are exposed to the truth about the Koran. It wont work any other way. Think about this, it took the Spaniards something like 700 years to take their country back from the jihadist invaders. That history is twisted depending on who writes it. But the truth is that it all started with Muslims conquering Gibraltar. For all who think that this “religious” war, in reality the one and only all out bloodiest war in the history of mankind duly directed by a prophet and which still goes on to this day, where untold millions of people have died or have been enslaved while suffering untold horrors were a thing of the distant past, just sit, do nothing and watch what happens next…. The politically correct media, and the government they elect, just cannot get their heads out of the sand and realize that there is only one solution to this problem. Expose them. Although the Koran says so, Muslims cannot have it both ways – a religion of peace, and jihad, in the same book, at the same time. Appreciate the clarity with which you communicate truth. You absolutely nailed it, SD! Islam is a vile religion, and Muslims should all be expelled from the western world and sent back to where they came from. Having said, they are mostly a toothless threat to the west. Not a single Islamic country stands a chance against any of the western powers, and even less against a combined power such as NATO. The threat, and it’s a very serious one, that Muslims pose, it that of terrorist attacks, which kills innocent people indiscriminately. This creates a big problem because when these attacks take place, we then we retaliate with disproportional force, kill a bunch of Muslims, sometimes invade their countries, don’t really win anything in the process, and end up creating another generation of wanna be suicide bombers. So why does the US keeps intervening in the Middle-East? As a matter of national interest, what has the US gained from all of these interventions? Why does the US government keep interfering in these countries knowing that is not gaining a thing from it? Most people don’t really ponder the motivational factors for why the government does what it does, or ascribe the source of the problem to the outsider, when perhaps the outsider is just as manipulated and gulled into false beliefs as the ones around you. Or the Russian airplane, people seem to have already forgotten that. Islam will never assimilate. Give up that belief, and ban them to their own countries. We also believe in beer and bikini’s.